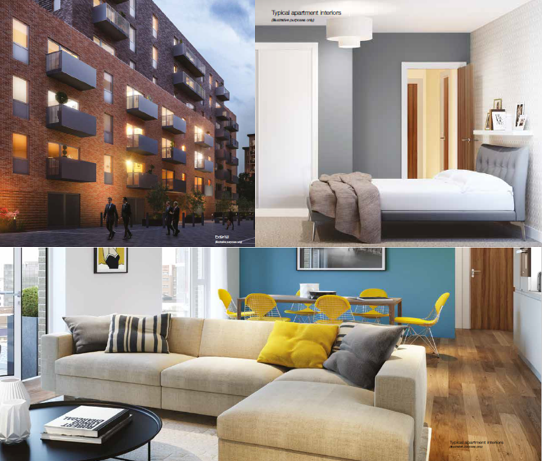 The Metalworks is a premier development ideally located in the heart of Slough, a vibrant town in the Royal County of Berkshire just 20 miles from central London situated 200 metres from Crossrail. The development will comprise two blocks, the Iron House and the Steel House, a mix of four and six storey buildings, with a total of 155 luxury apartments and 172 parking spaces. Fellows appointment as Project Manager, Cost Manager and Employer’s Agent includes working closely with the design team to ensure that the project; from its inception through to completion, exceeds the client’s expectations. This will be achieved through our experience, knowledge and ingenuity to produce an aesthetically pleasing, useable building while remaining within budget. Our diligent and pragmatic approach to cost and project management has resulted in a strong bond between Client, Contractor and Fellows, which we aim to maintain from project inception to completion and add value through excellent management skills. Fellows offer a best in class service from a dedicated team of highly qualified (construction) professionals. A hugely experienced team with a rounded knowledge base provides us with the confidence to focus elsewhere in our business. Immediately accessible and always with a solution they are a pleasure to work with.